Ursula Salemink-Roos is an international artist whose works can be seen in Channel Islands, Singapore, Spain, Germany, USA, and Canada. She’s an art educator and teaches at local Art Groups and through the Vancouver Schoolboard. Ursula’s works are indicative of her experience as a weaver. They’re bold abstract landscapes with intuitive color combinations that display rich texture. Her art reflects her curiosity. She’s a former member of Pemberton Studios in North Vancouver. 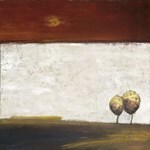 Ursula aims to achieve a sense of strength and simplicity in her art. 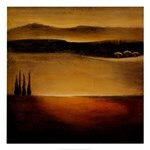 She now works out of her own studio in Burnaby and leaves the interpretation of her art to the viewers. She works in series, some of which are ongoing. She challenges herself to upgrade her techniques as well as achieve new levels of perception. She is passionate about the creative process, and that’s why she’s producing high quality products. She’s had solo shows at Gallery at Sixty Dallas, Victoria; Bel Art Gallery, North Vancouver; Centennial Theatre, North Vancouver; Place des Arts, Coquitlam; and Law Courts Inn, Vancouver. Ursula has also had several juried and group shows including some at Arts Council Gallery, aby Art Gallery, Burnaby, Ferry Building Gallery, Art Domain Gallery, and Bel Art Gallery. Phthalo Gallery, Caft Connection Gallery, and Artspecific, North Delta, just to mention a few. 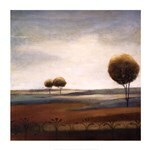 Ursula uses her art as a channel through which she communicates her inner feeling to her viewers. She produces art that’s not only meant to be hanged on the wall but that which also inspires. 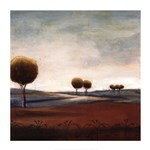 She’s a member of Encore Art Group / CAP and Winn Devon and the Federation of Canadian Artists, among others. Image Size: 15" x 15"
Image Size: 9" x 8"